Leg felt better today but still a bit of pain. Leg was still bothering me bit so I decided to walk the courses. Courses were more sprint work. This time focused on route choice and reading ahead. My leg felt really tight and was scared I was hurt. Decide to bike to make sure not to re injure it. 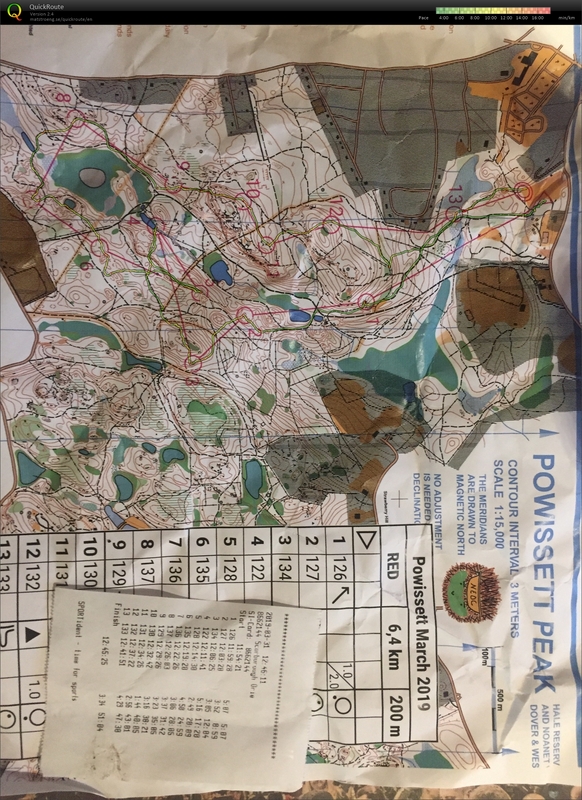 a Bunch of sprint orienteering. Focused on memorization. Tempo run. Felt pretty good throughout this run. There were a few lights that messed up the pace a little. Forcing me to stop and giving me breaks. Besides that it was good though. Also this pace is completely off. I think the time I am using did not stop for stop lights. My actual pace was a little under 6 minutes. Orientation drill. Basically at each trail intersection your control sheet told you a direction to go. Lost a lot of time because of a mistake on the map. This course went pretty well. Lost a bit of time around 6 and 12 but no to bad. Extremely fast course throughout mostly trails. Funny story about shoes and marshes. Last control was beside a small river, I decided to go across it instead of running to the trail ten meters away. My feet are completely dry before I try to jump this river on the last control. Go to jump over it feet go right into the river, left shoe comes off. Long story short lost about a minute and a half looking for my shoe and finish the course with one shoe. I think this brings my total courses finished with 1 or 0 shoes up to five or six. Don't see time loss on this because I stopped my watch. Official time of race posted. Watch time some where around 50:00 flat.